with harted treatment ,the hardnes is above HV1200 The surface is well treated by grind and plated chrome. 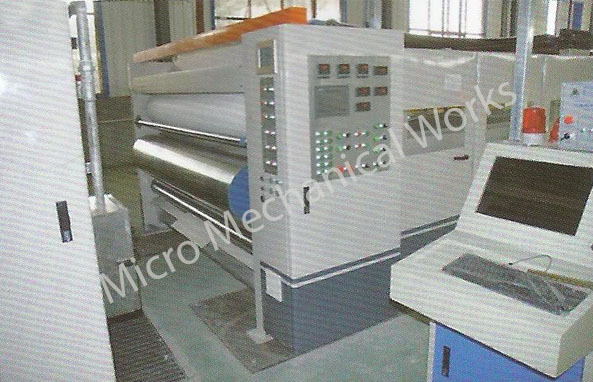 5.with preheater for inner paper and steam spary device for medium paper. 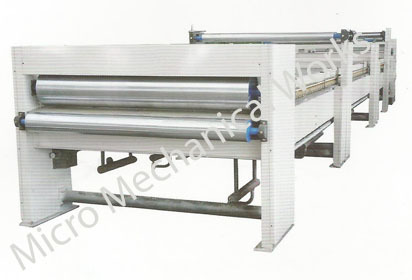 6.upper and lower corrugated roller are unit assemblage ,the whole corrugated roller group can be move and quick replacement to change flute type quickly. 7.Glue Section are init assemblage,whole section can be moved by track,save maintenacce time. 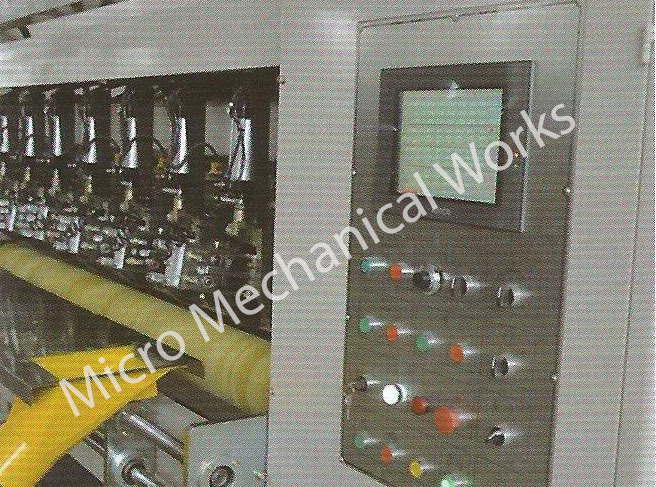 8.Adjustment for corrugated roller,pressure roller,annd glue roller by pneumatic system. 10.Oil immensed type lubricating to reduce noise keep runing stable,prolong the uselife of gear. 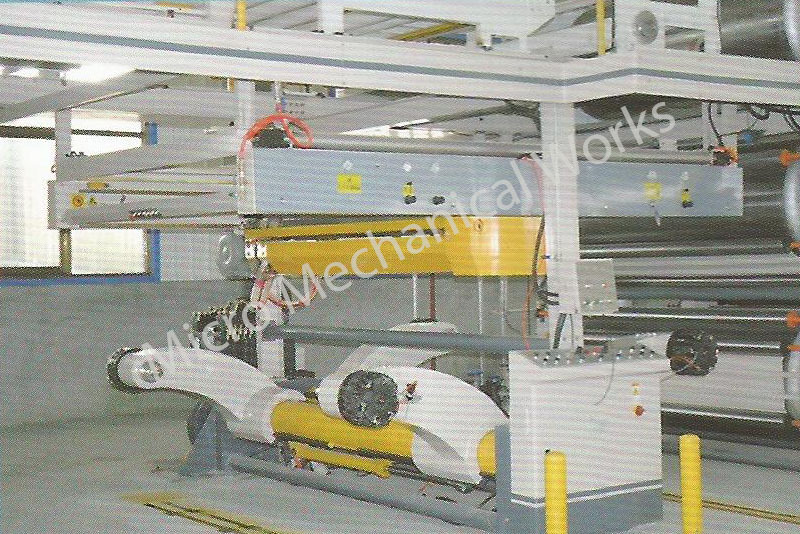 11.Adopt glue width motorized dividing to match the idle running motor to glue application roll to avoid glue dry. 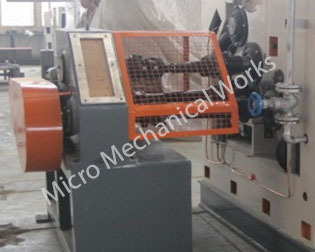 Adjustment for gap between glue roller and doctor roller by electric or manual are optional.Digital Read out for the gap between gap roll and doctor roller optional. 12.bearing for corrugated roller and pressure roler adopt high temperatuer lubricate grease to keeep running smootly and durably. 13.Glue part can be running independently or non-independently while stopped. 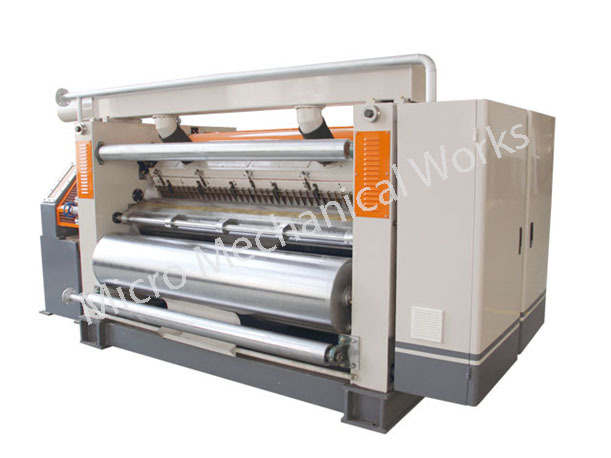 6.Cardboard Transmit adopt vacuum suction method with wind control system keep flute profiles stable of the lower-roller in the condition of running up. 7.bearing and corrugated and pressuer roller adopt high temp lubricate grease. 8.Glue part auto supply glue circularly. 9.The upper-lower corrugating roller are made of 48CrMo high quality alloy steel ,after heat-treatment.The Hardnesss us above HV1200.the surface the dealing with tungsten carbide. 10.The glue part surface are treated by sepcial mesh snicked and chromeplated. 11.Manud of electric insulation glue device. 12.Glue part can be runnig independently or non-independently while stopped. 1.The sturcture is double rotary shafts with four arms;Support two paper mill rolls on both arms at the same time. 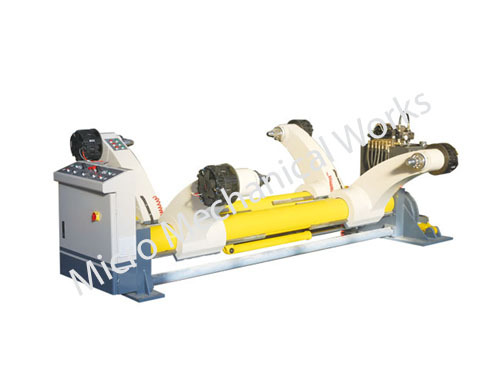 2.Hydraulic control for paper mill roller up-down ,clamp-open and centering. 3.Web tension is controlled by pneumatic brakes or manual brake:Tooth chucks are optional. 3.The structure is double rotatry shaft with four arms;Support two paper mill rolls on both arms at the same line. 4.Round-plate type manual brake,the web tension is adjusted at any time. 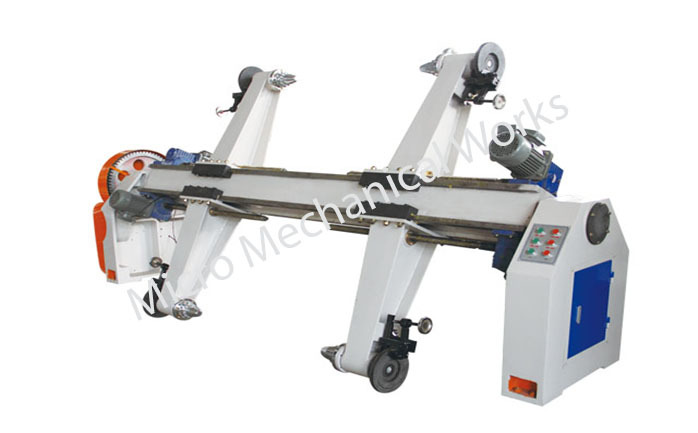 5.Arm clamp and rotary structure set fixed torque clutch ,operate safety. 3.Electromotion heating angle adjustment.Adjustable range of 360,Two angle shaft optonal increase angle area. 4.Surface of all rollerare well treated by grind and plated hard chrome-glabrous and durable. 5.Adopt dishing seal or plat design.Insure reel paper be heated averagely. 6.Simplex,duplex,triplex or quadplex pre-heater according to requierment. 7.Synchronous deviation correction on the basis of center and side. 2.Each of the glue rolls controlled by seperate transducer motor to ensures all rolls run with same pace,also run singly. 3.Beacause each roll controlled by separate transducer,after the glue roller renewed also ensure the rolls run	with same speed,by tansducer adjustment. 4.The control of paste volume and accused of paste volumean be separated manual and automatic. 5.Manual controlling:Press the button that controls to adjust the clearance,to ensure paste enough glue. 6.Auto-controlling:The coder and PLC auto-controls according to change of speed. 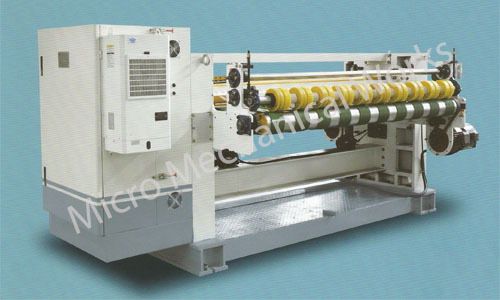 And with inter-face appear control,to ensure glue when machine work in high or slow speed and the corrugated paper quality. 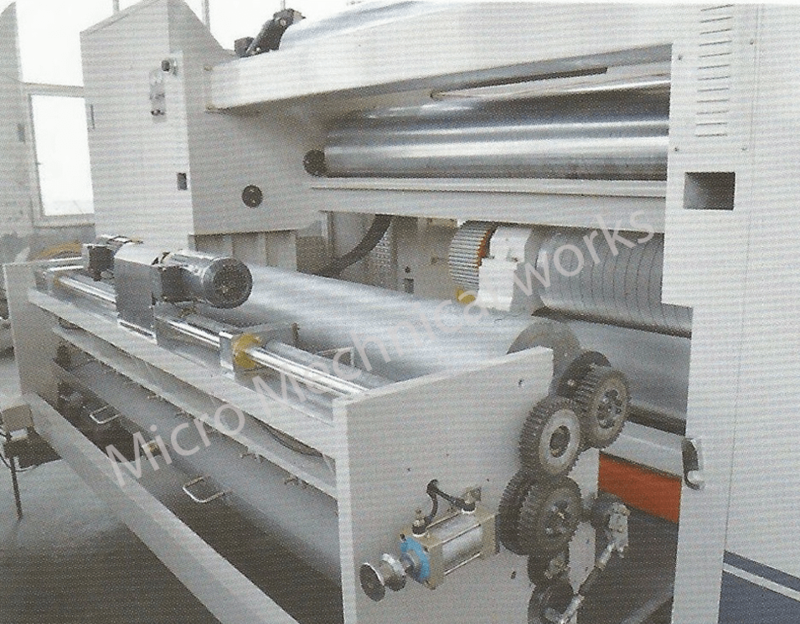 7.Stop machine,contact bar raise automatic ,glue roller revolve automatically. 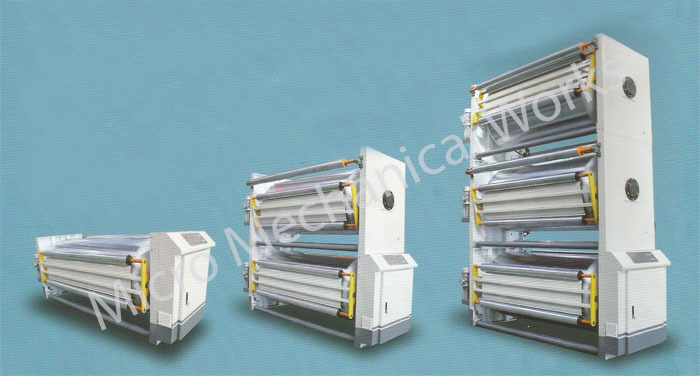 8.Press roller and elasticity pressure bar are optional. 2.Special line on the surface of the glue applicator roller,surface ane hard chrome palting,even glue supply ,low cost. 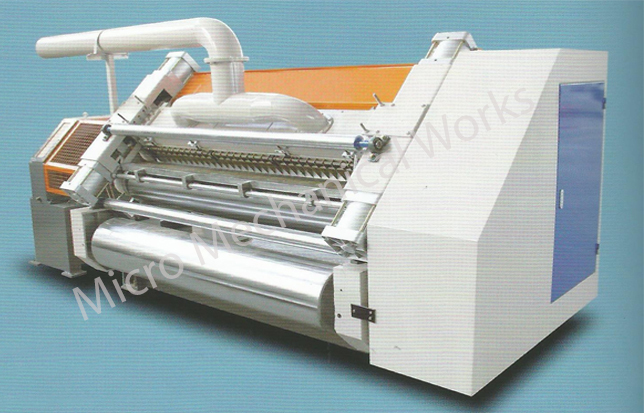 applicator roller and double baker facer machine by inverter.And independent running. 4.Electromotion adjustment display sizing amount or manual sadustment sizing amount. 5.Press roll moves up and down by pneumatic.Gap mini-adjustment by electric. 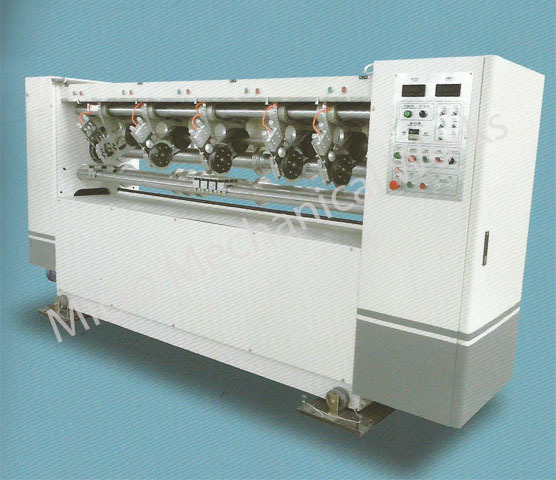 2.Man-machine interface PLC automatic controls,automatic switching of the heating plate number and size of the pressure to adapt to different kind of paper flute peak intact. 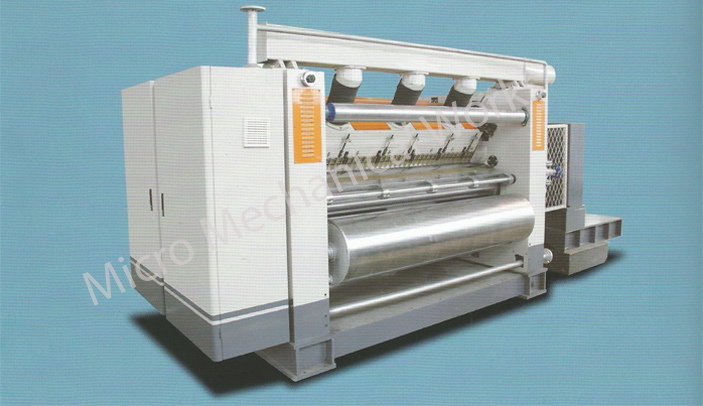 5.Upper cotton belt with two-cylinder s-type cotton belt tensioning device. Automatic or manual correcting device are optional. 6.Drive section adopt gear box,derived by electormagnetic speed control motor or freq conversion motor. and put out pa-perboard stable. 2.Quality heating plates 8-14 piecesX 600mm,inner circulating structure,Crossing air-supply.
. 4.Standard of pressure vessel. 5.Pressure system and shoes system is optional ,pneumatic adjustment of pressure. 6.Oil-bathed gear for drive unit.Electromagnetic motor or frequency motor is optional. 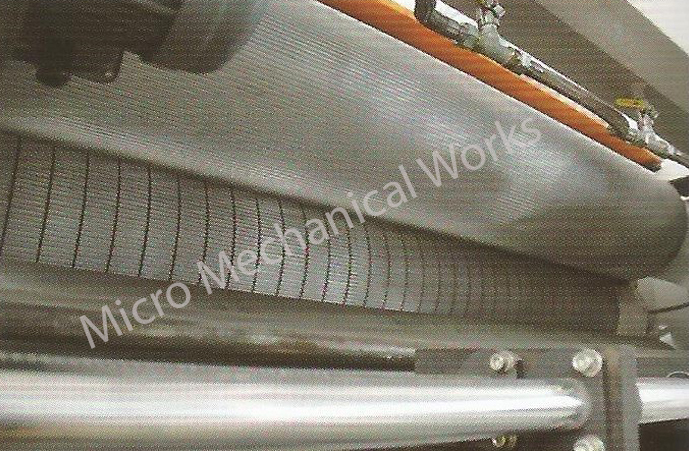 7.Type of rubber Drive Roll with vulcanized surface to avoid deviation. 2.Memory of 999 order ,non-stop changeover or manual change over can be realized. 3.Slirler,crimping round single randomly servo control,single quickly ,accurate. 4.Front two rovos fo the preaure line wheel confiurstion,sny combination of lie pressuring wheel to relise zero pressuer line. 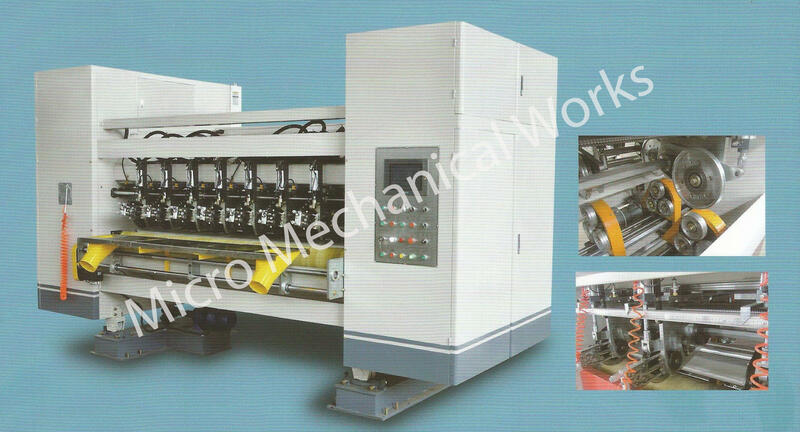 5.Auto matic synchronize with the corrugated line and can also get in line with manufacture mangement system . 6.High aulity imported industry computer and PLC equipped composing the CNC system. 7.There are three types of scores:concave-convex(singal wall),cancave-canverx(double wall) and convex-flat,which can also be alternated with electrical system scoring can also be computer controlled tith fine scoring results. 8.Thin tungsten steel alloy blade,sharp and long life of oer 8 millon meters. whwn slitting the board ,it can increase efficiency. higher precision ,longer life and lower noise. 11.Standard waste,for a single location of absorb waste with the knife synchronous adjustment. 3.4 blades 6 scorers , 5 blades 8 scorers or six knives ten lines. 4.Adopts novelty thin edge high speed paper cutting. the incisions are level up and velvet. grinding edge set.According to material and condition of hem,set the interval meter and the grinding time at any moment. 6.The whole set adopt electromotion movement horizontal ,assort to the cardboard excursion in effect. changing order and enables networked computers to facilitate production mangement. 4.Cutter shaft rotatry gear adopt forging steel high frequecy quenching achieve no lateral,using advanced keyless connection,high precision. cutting with less shear force,to keep the knives long life. 8.Knife shaft made by quality forged steel material ,and running stable sfter balance treatment. 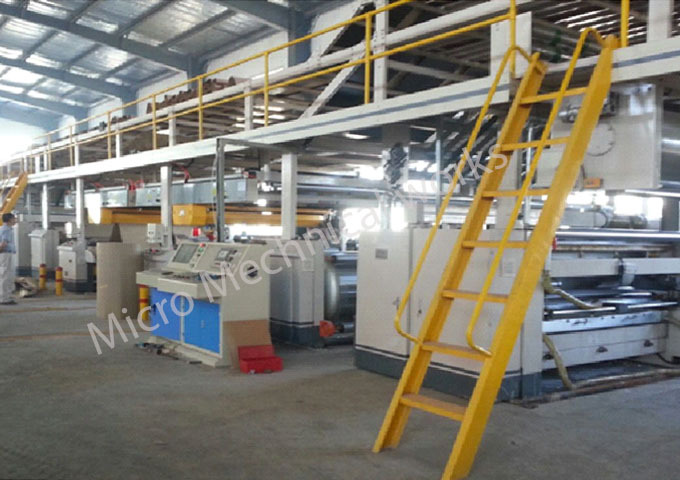 9.Host base and machine frame adopt grey cast iron,to keep machine strong and stable. 10.Adopt Germany KEB servo system and 10.4 inches Taiwan Eview color touch screen. 3.Automatic stack and collect cardboard. 4.With electromotion transmit horizontally by electric adjustment of back stop position. 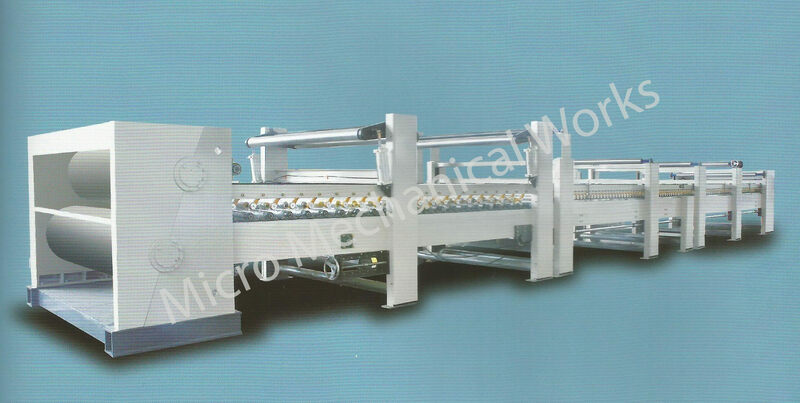 5.Vertical meet cardboard adopt wide conveyer belt to transmit. 6.The sheets or height of cardboard will be moved out by automatic or switch control when reaching request. 3.Automatic change order in 5 seconds,automatic counting and automatic horizontal paperboard delivery. 5.During working with production manage control system ,the waste paperboard less than 700mm due to change order. 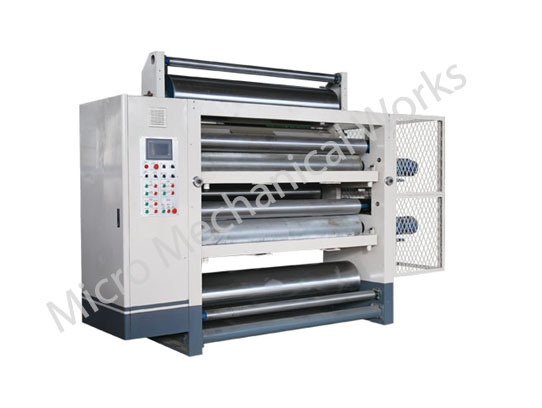 7.Automatic paperboard side delivery when reach the setting quantity. 8.Paperboard dam controlled by AC servo system,change order automatic and fast,suitable for small size paperboard stacking. 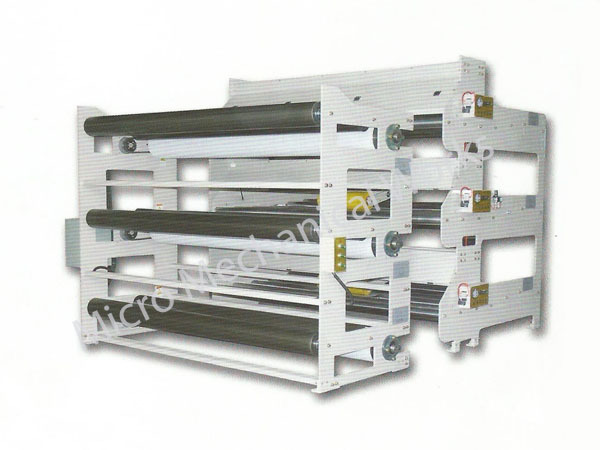 9.Standard electric transport conveyor and double side delivery table. 10. Individually sealed control cabinet,electrical equipment running in clean environment. 11.Colortouch-screen display for easy field operation. 2.max. steel length 3000mm,Min,sheet length 500mm. 3.Automatic sheet stacking and side delivery. 4.Simplex or duplex down stacker structure. 5.Hydraulic servo valve control of elevator deck,ensure stable and quickly stacking. 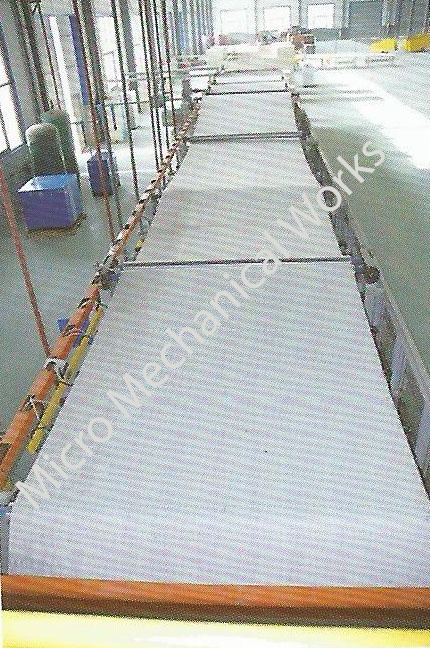 6.Conveyor belt keeping synchronours with production line speed,keep stacking stable. 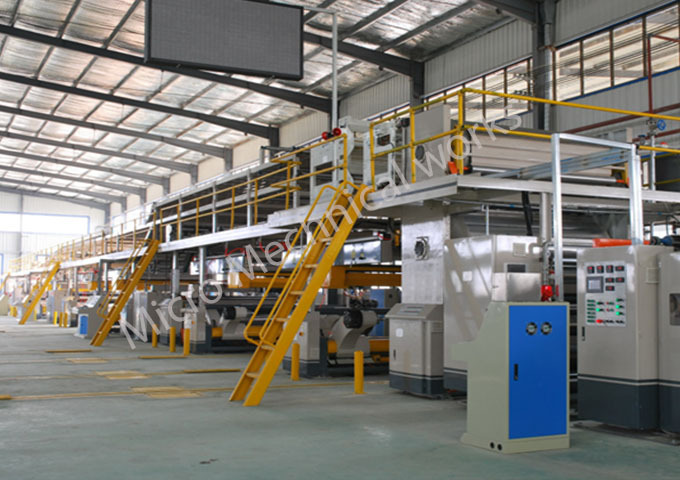 7.PLC control system to follow production line speed,delivery paper sheet, control elevator deck up and down,control back stop positioning clapboard to achieved automatic order change. 8.Adopt fiberglass brush press paperboard,and according to paperboard length adjust pressuer.Exit of paper sheet delivery with press brush ,anti -excursion and guide paper sheet correct delivery. 9.Subsection independent driver by AC frequency conversion motor,automatic follow production speed od production line ,ensure stable and quickly stacking. 10. 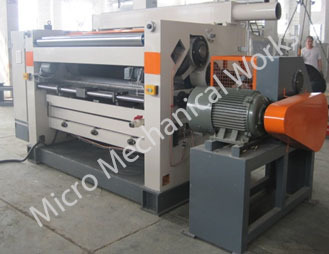 This machine can be connect with production managment system to achieved order change and order mangement . 11.Adopt man-machine conversion and touch screen display,easy operation. 12.Automatic clapboard setting for sheet lenght and automatic paper sheet sid edelivery. 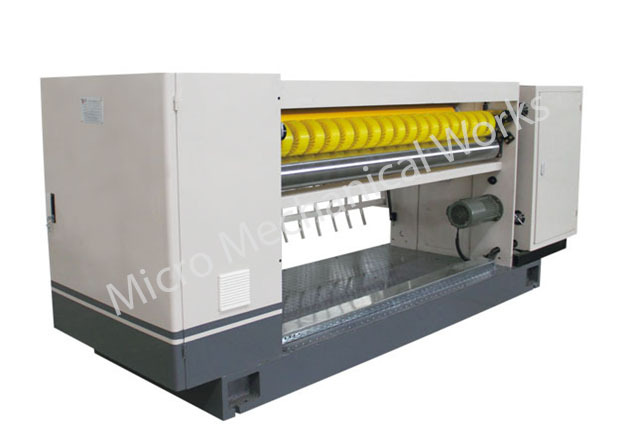 3.With the Mill Road Stand automatic tension control,high-speed access paper,a high success rate. 4.Paperless tail then the paper,to reduce the bsae paper loss(base paper overlap only with the tape with a width of 40mm). 5. 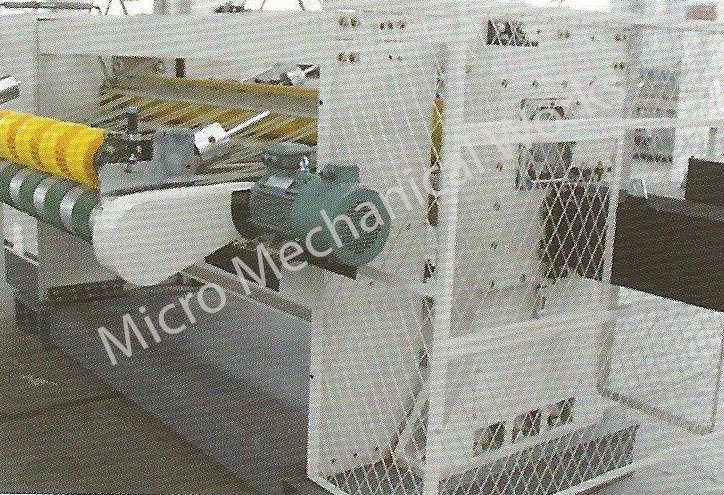 Splicing car out of the automatic vacuum adsorptiom paper loading is easy,automatic tension controlPaper receciving zero errors. 6.All PLC automatic control,accurate ,fault and easy maintenance. 7. buffer wheel for the first time to pull the paper ,atuomatic alignment,easy to pull the paper. 1.The entire system run through the program completed by the PLC control,measurement precision. 2.System is equipped with temperature sensors and temperature display and control the gel temperature,in order to ensure that the starch molecules are more soluble in water,while avoiding the glue qulity infulenced by ambient temperature produce large. changes. 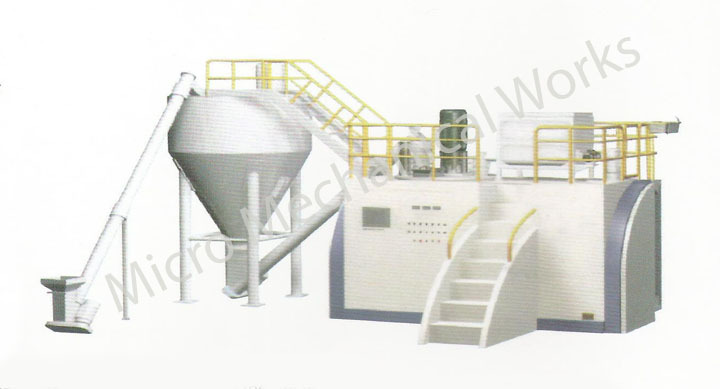 3.This devices has automatic tank washing produres ,each conveying the finished glue,automatic cleaning of the tank. 4.Caustic soda into caustic soda stored in the lye tank;level of lye transit tank level is controlled by the PLC when it reaches the set low limit,the lye tank throught the pump by the automatic replenishment. 5.When the starch tank level down to the level sensor,the system automatically add material alarm and vibration add material.